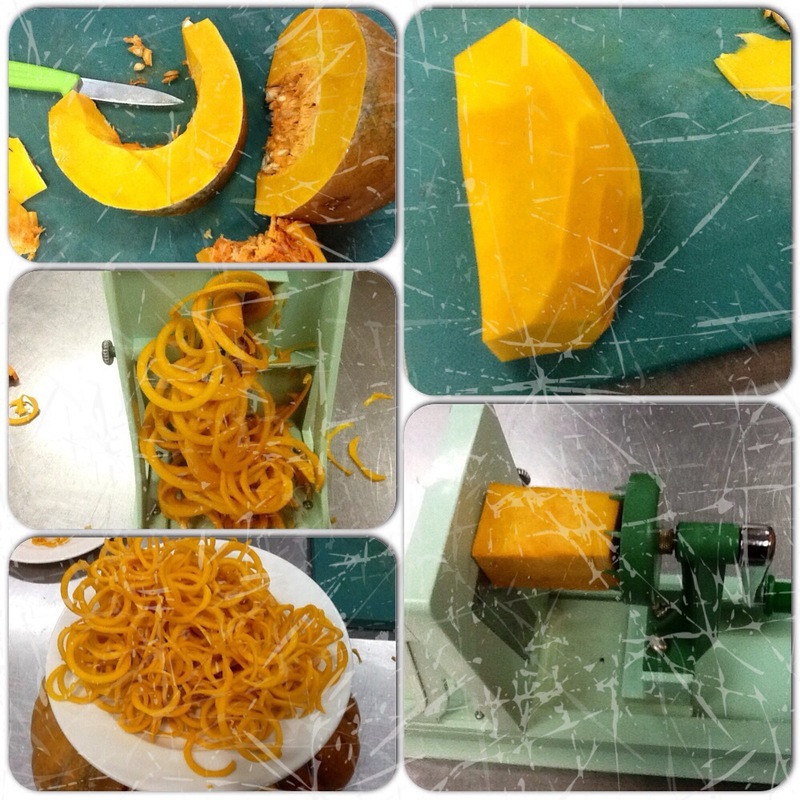 Please check on this link where you can find this wonderful equipment to do more than just vegetable spaghetti. (1) Get a nice teal pan or non sticky pan and add your butter on a slow fire. 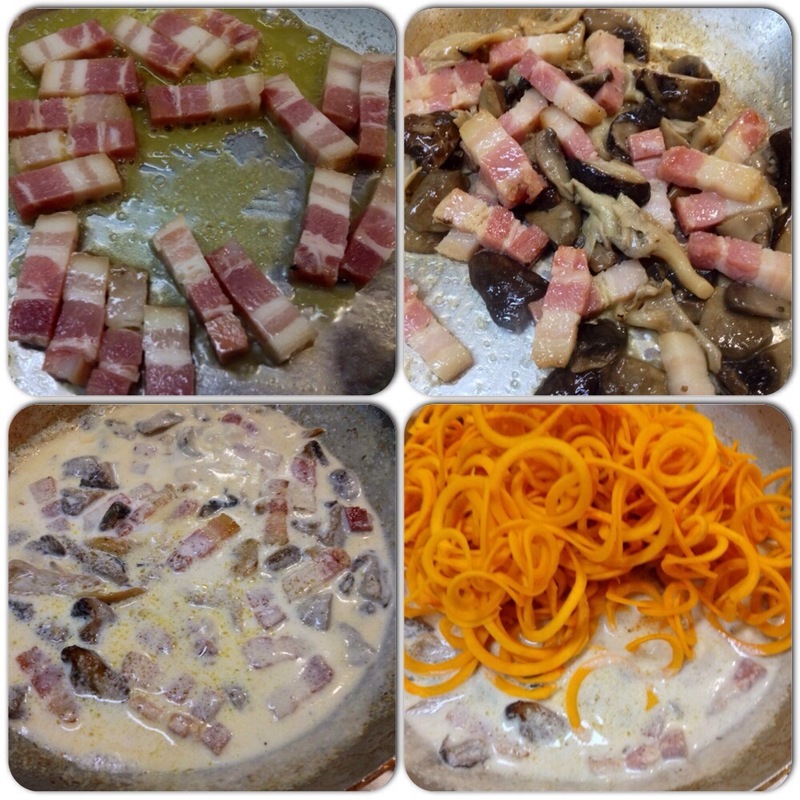 Add your bacon cut into lardons (please see pictures). Continuous stirring until the bacon is slightly brown. (2) Add the mushroom and season with salt and pepper. (3) Pour the vegetable broth until it’s boiled with some of your almond milk and add your spaghetti squash and toss it. 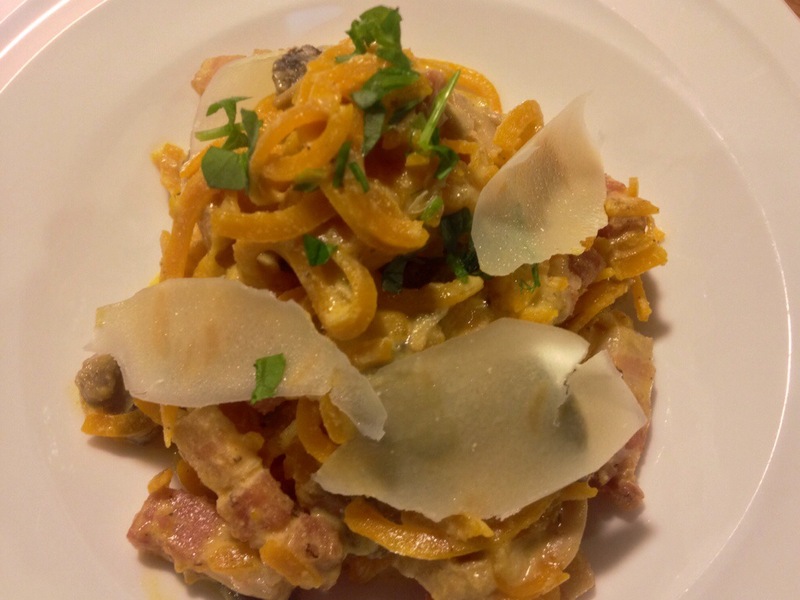 The squash is very quick to cook so make sure you measure everything before you start to cook your primed squash spaghetti carbonara. When the squash is almost cooked put it on the side of the fire. (4) In a mixing bowl add your yoke and parmesan and half of your almond milk. Mix it. (5) Put back your pan with the squash and add the other half of your almond milk. Mix it well. 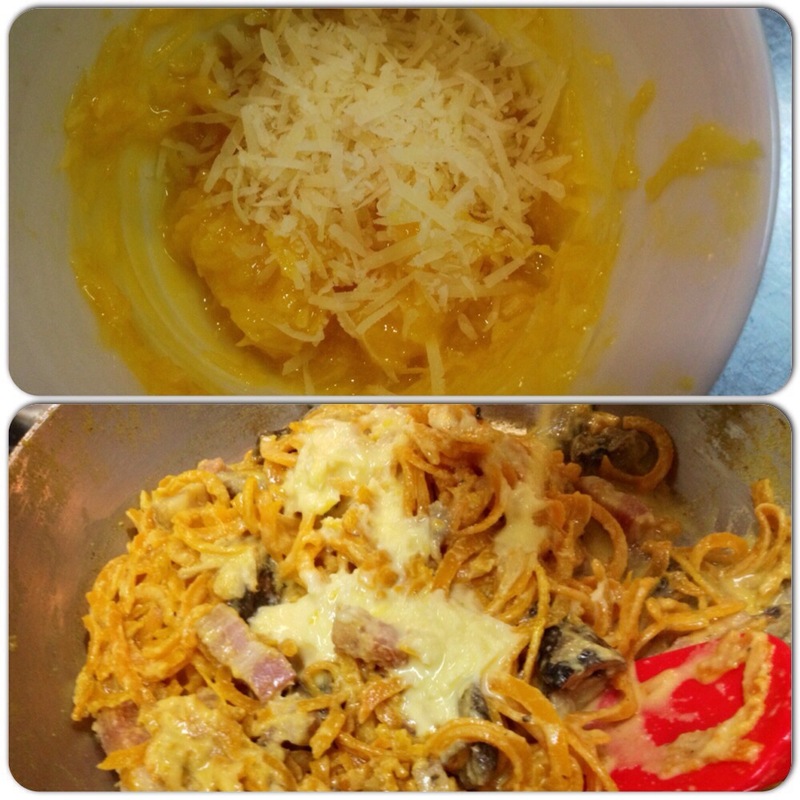 (6) Off the fire add the Parmesan, egg yoke and almond milk mix to your spaghetti squash little by little. Adjust the seasoning by adding salt and pepper. (7) Then you can plate it on a pasta plate and add some shaving of Parmesan and finish it with Italian chopped parsley .